Genre:- Soul, Hip Hop, Reggae, Dubstep, Grime…..! Nearly six years after the hanging execution of Australian Van Nguyen in Changi prison, Singapore, Australia is faced yet again with the prospect of the execution of two of its citizens. 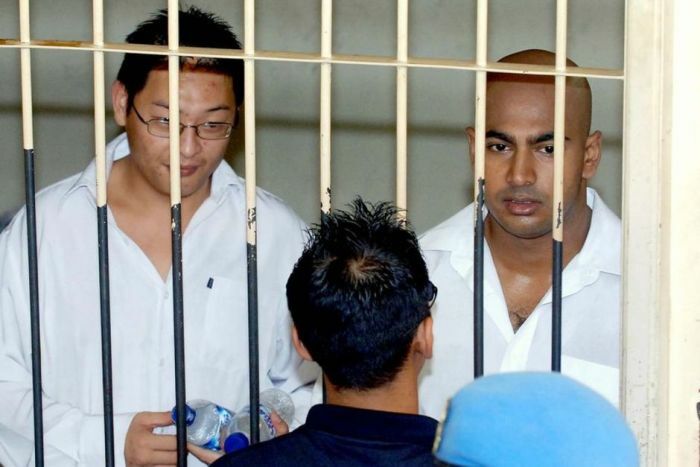 Myuran Sukumaran and Andrew Chan have exhausted all their legal avenues and have about 12 months to plead for presidential clemency. If Indonesia’s president Susilo Bambang Yudhoyono does not grant clemency, the pair will face the firing squad. The debate raged during the time Van awaited execution, it was never easy to gauge exactly where Australian’s stood on the issue. Some, like myself, oppose the death penalty in all cases and called on the Australian Government to do everything it can to spare his life. Others while oppose to the practice believed in Singapore’s right to carry out the punishment how they saw fit. While another percentage of the population both support the death penalty and support the execution of Van. What was clear in the whole debate was that very few people, the majority of the population and even many politicians know very little about the death penalty and how it works. Execution in any form is never quick and almost always messy. While most US states that carry out the death penalty use the lethal injection, it too is slow and painful. The last prisoner executed took an agonising 11 minutes to die. Lobbyists, we have to keep our eye on them! This might be straight from the US of A, but Casino Jack, the story of a criminal lobbyist in Washington is a stark reminder of corruption in politics. With a Carbon tax so close and people wanting government to take tough measures against big business, you better believe they will fight back. And lobbyists are their number one weapon. If you haven’t yet, then you must see, the documentary film about the global financial crisis – Inside Job. The movie primarily focuses on the US collapse and white collar crime on Wall St. But the crash in the US had ripple effects right across the globe and as always it was the poor who suffered the most.